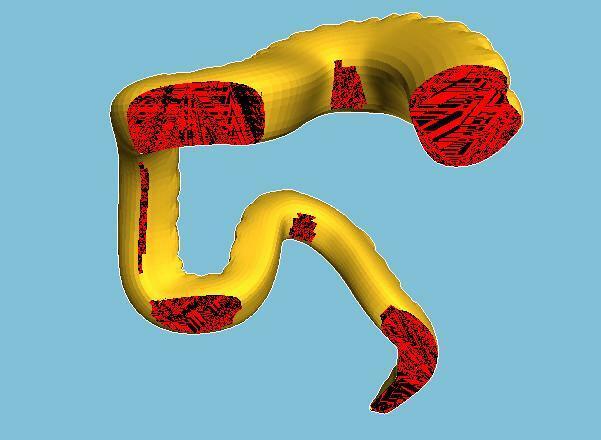 Overhangs In Cura overhangs are shown in red like in the picture above. When printing an arch-shaped area layers may sag. Adding extra layers on top makes things worse. As a layer is not resting on support, the weight of further layers is pushing it even lower. Being warm and soft the whole structure will end up looking quite ugly. 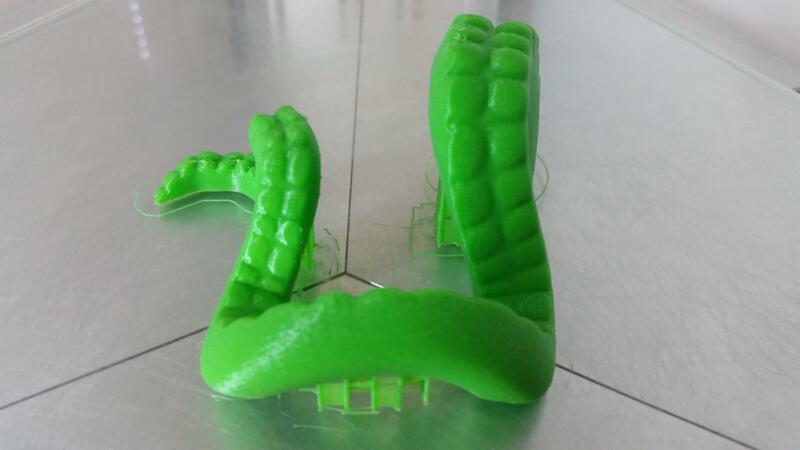 Extrusion 3D printers may be able to deal with some non-extreme overhangs. For example Cura settings can be changed to make the layers thicker. Simply changing layer height from 0.1 to 0.2 mm can sometimes help with round corners. But of course it depends on what printer and filament you are using, so do experiment. Temperature plays a major part here. Lowering the temperature can help the filament to cool and set quicker. Some 3D printers have additional cooler fans installed. But please be aware that to low temperature can get in a way of effective extrusion. Print Speed is also a factor here. The lower the speed – the better result. Also different filaments have different qualities. The properties of the filament may vary even for different colour filament from the same manufacturer. The results may change from one spool to another.